Coastal Fertility Medical Center’s 14th Annual Miracle Babies Halloween Reunion is Another Huge Success! The 14th annual Miracle Babies Halloween Party was again an enormous success! Well over 750 parents and children (dressed as spooky ghosts and goblins, dashing superheroes and beautiful princesses) shared the opportunity to celebrate their very special origins with Dr. Werlin and his team of specialists. 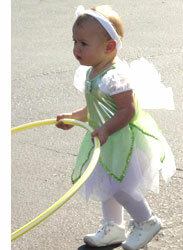 The children paraded their festive costumes in the Halloween costume contest, danced with hula-hoops, and enjoyed the laughter of other children who share their common bond through the miracle of their births.